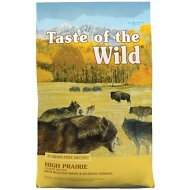 Nourish your puppy pal with the balanced diet nature intended with Taste of the Wild High Prairie Puppy Formula Grain-Free Dry Dog Food! 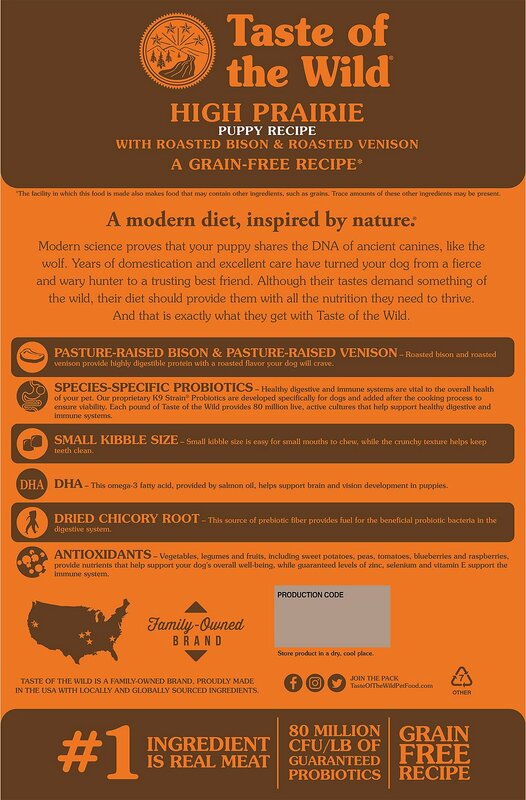 Formulated with novel proteins including buffalo and bison, this grain-free recipe includes peas and sweet potatoes that deliver the highly-digestible energy your growing puppy needs, along with natural antioxidant support from real fruits and vegetables and dried chicory root for prebiotic support and healthy digestion. Essential minerals are chelated with amino acids to optimize their absorption and ensure maximum benefit, for complete and balanced nutrition with a taste of the wild your furry friend constantly craves! 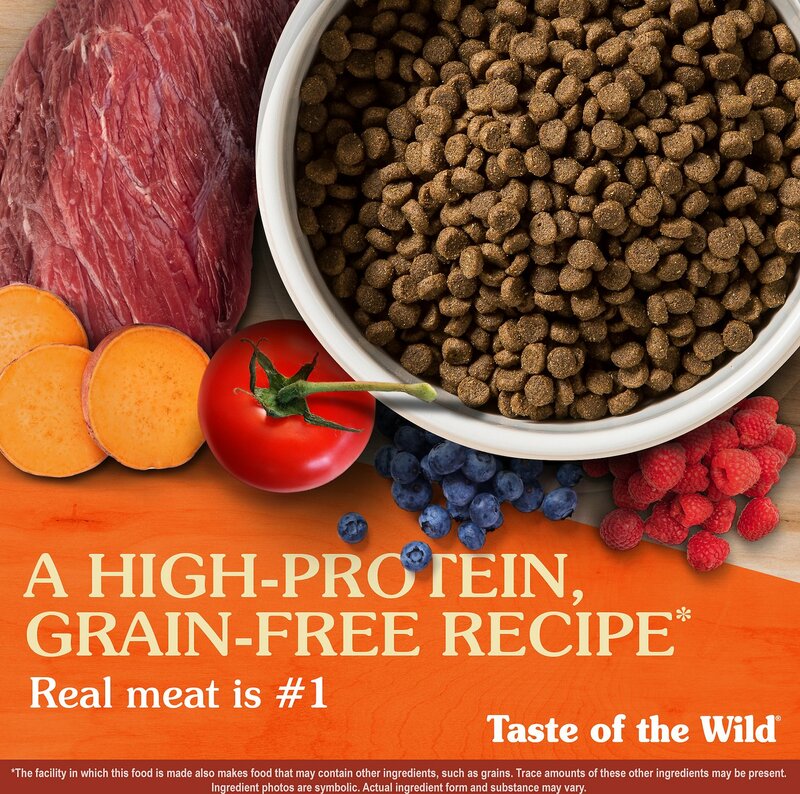 Made for puppies with real buffalo as the first ingredient followed by other real protein-rich ingredients including bison, roasted venison and beef for lean nutrition and to help support strong muscles. 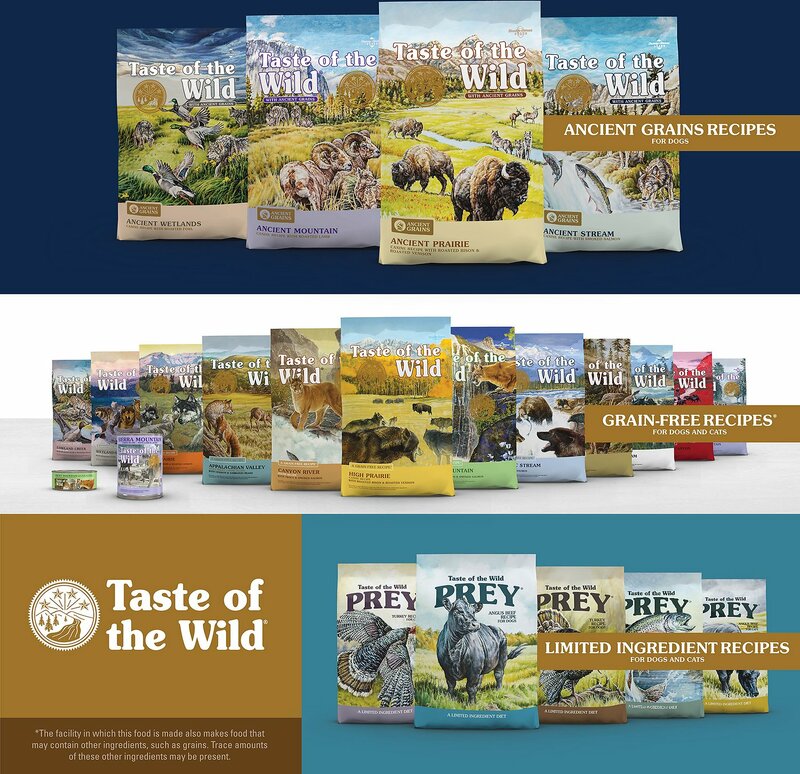 Buffalo, Lamb Meal, Sweet Potatoes, Egg Product, Pea Protein, Peas, Potatoes, Canola Oil, Tomato Pomace, Roasted Bison, Roasted Venison, Beef, Flaxseed, Potato Fiber, Natural Flavor, Ocean Fish Meal, Salmon Oil (A Source Of DHA), Salt, DL-Methionine, Choline Chloride, Taurine, Dried Chicory Root, Yucca Schidigera Extract, Tomatoes, Blueberries, Raspberries, Dried Lactobacillus Plantarum Fermentation Product, Dried Bacillus Subtilis Fermentation Product, Dried Lactobacillus Acidophilus Fermentation Product, Dried Enterococcus Faecium Fermentation Product, Dried Bifidobacterium Animalis Fermentation Product, Vitamin E Supplement, Iron Proteinate, Zinc Proteinate, Copper Proteinate, Ferrous Sulfate, Zinc Sulfate, Copper Sulfate, Potassium Iodide, Thiamine Mononitrate (Vitamin B1), Manganese Proteinate, Manganous Oxide, Ascorbic Acid, Vitamin A Supplement, Biotin, Niacin, Calcium Pantothenate, Manganese Sulfate, Sodium Selenite, Pyridoxine Hydrochloride (Vitamin B6), Vitamin B12 Supplement, Riboflavin (Vitamin B2), Vitamin D Supplement, Folic Acid. Contains A Source Of Live (Viable), Naturally Occurring Microorganisms. 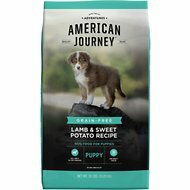 Best food on the market if you love your puppy. 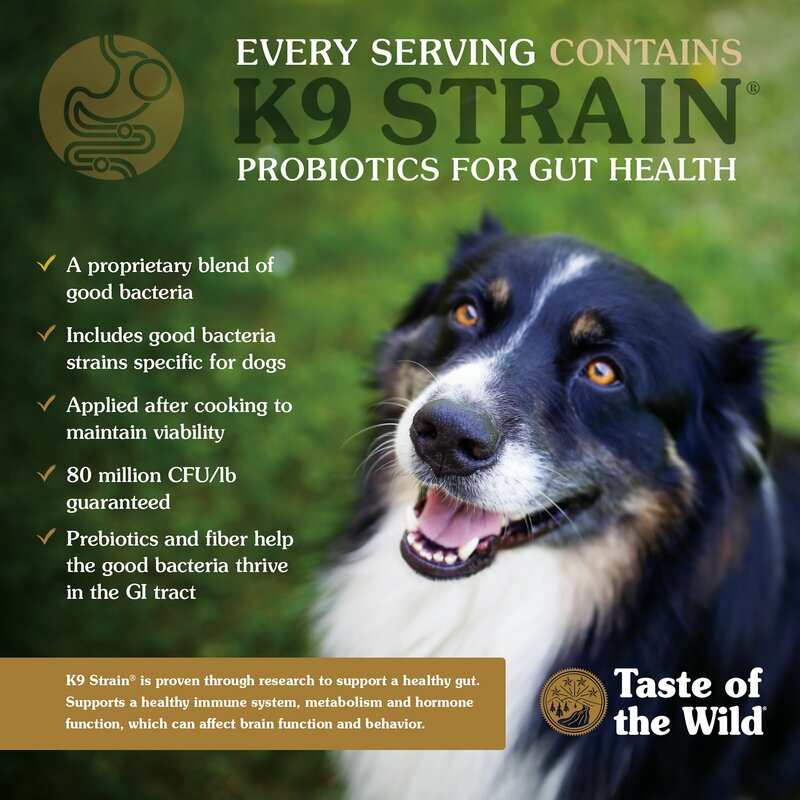 Taste of the wild provides a balanced nutritional diet your puppy needs to grow big and strong, also it tries to stay close to what your puppy would receive naturally in the wild. It is grain free. With a variety of flavors to keep your puppy happy. I personally found the my pup seems to have healthier stools. And fewer stools. It is the only brand I trust to feed my pup. Kibble is small and easy for puppies to chew even though it is a hard dog food. Just a great product. You wont be disappointed. I was struggling to find a food that my puppy would want to eat until I noticed that he kept trying to get into his furry sisters food (the kitty version) so I tried the puppy version and he absolutely loves it! He can't get enough of it. I would definitely recommend this food for picky eaters (though I do know every puppy is different). This is really good, healthy food so I bought it for my new Cavalier King Charles Spaniel. He isn't fond of the taste so he has to be extra hungry to eat it. I mix it with wet food and he does good with that. Will try something different now. This used to be a 30lb bag, now it's a 28lb bag. That's 6-7% less food for the same price. It's disappointing, but our dog is sensitive to chicken and this is one of the only chicken-free foods he'll eat. He's done well on it, so I can't give the food a bad review, but I can be frustrated at the change. The adult version has chicken meal in it, so we're going to have to change food in the near future anyway. Since this "new" product is two lbs lighter, I'll decrease the stars by two. I've been purchasing this - adult and puppy - in all flavors for 4 years and have never had any cause to complain. Yes, it's a more expensive brand. But the quality was worth it! Now, however, I'm just not sure it's still worth the price. Not happy TotW. Not happy. 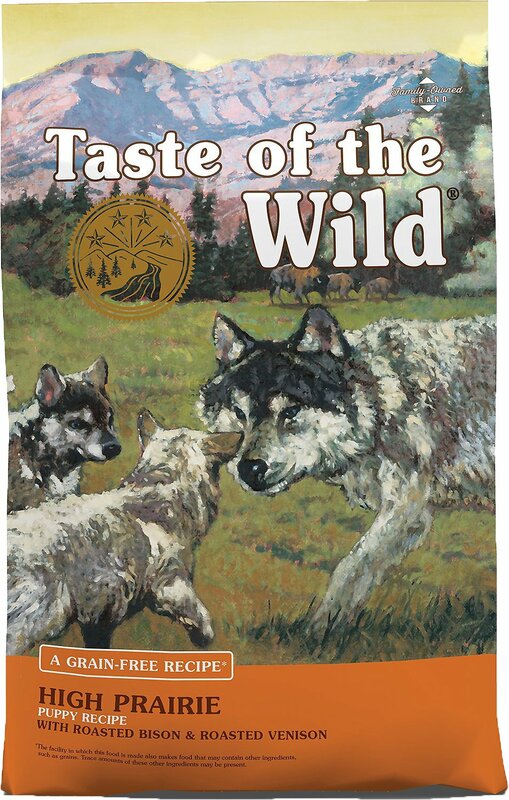 I love Taste of the Wild. 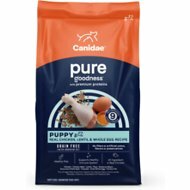 Although a bit more expensive than your regular shelf dry dog food, I did do my homework and this product is held amongst the top named dog foods in the market. With all that said, my pups have been on this dog food for almost 3 weeks and I can tell that they are not big fans. (Not sure if it's a taste thing, I don't eat dog food.) Perhaps changing flavor? At first serving, my dog finished her bowl right away. The second time, she just ate a bit, came back to her bowl 3 times before it's all gone...up to this writing, she's doing the later i.e. ate a bit, come back ones or twice to finish it. Hard to say if it's the food or my dog that has the problem. I'll try a different brand next time for confirmation. I really don't prefer to feed kibble but my pup needed some extra calories to supplement her fresh food. So I was very picky. Did my research on this brand and I'm convinced it's got to be in the top 5 dry dog food options. I might point out that it smelled pleasant too. That might sound weird but in my experience most kibble smells stale. Been supplementing my pup with it for a few weeks so far and she's doing great. 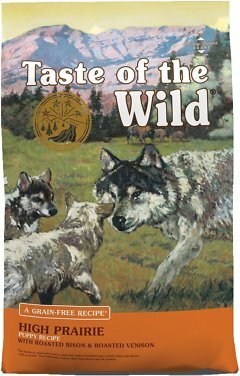 Our dog had previous stomach issues and switching to Taste of the Wild has improved him so much. He likes the food better than other ones we had tried and switching food types he had no issues. In the past when switching his stomach would be upset for a few days. His bowel movements are consistent and have never looked so good. Overall we are very impressed and will definitely be keeping this as our regular dog food for him. My 5month Pointer Blue Heeler Mix Pepper loves Taste Of The Wild. It’s a great healthy food that keeps her happy. I got Pepper from a lady who couldn’t make money off of her so she was going to take her to the pound until I rescued her. Now she is spoiled and has a loving family.